Laundry to make you feel good. 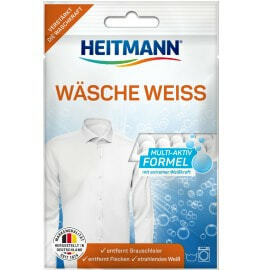 HEITMANN offers a large selection of products for all your textiles. From stain removers, whiteners, and washing power boosters to special detergents for clothing that is delicate or requires extra care. Use these products to remove dirt as well as odours from your textiles, right down to the fibres: from towels to delicate blouses.